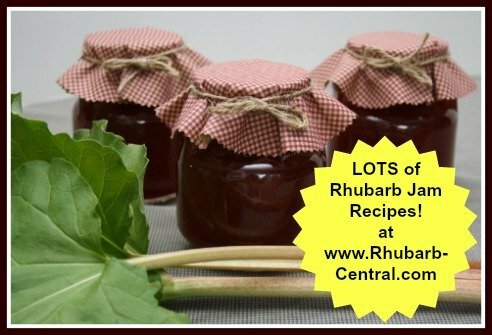 If you are searching for amazing, easy Rhubarb Jam Recipes, and Rhubarb Jelly Recipes, you have found the BEST ones here! 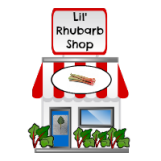 I believe you will find that even those who claim not to like rhubarb, do in fact love rhubarb jam, especially when it is made in combination with raspberries or strawberries, peaches, plums, pineapple, or other fruit. 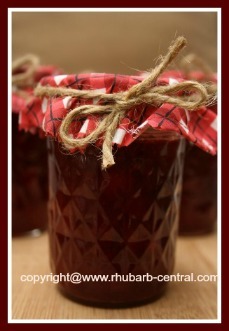 Rhubarb Makes Amazing Freezer and Cooked Jams and Jellies! Rhubarb Jams and Jellies are a delectable choice for topping muffins, breads, bagels, scones, pancakes, ice cream, waffles, and more! Making these rhubarb jams recipes are really quite simple, but you must follow the recipe instructions carefully and step by step in order for the jam to set properly. Interested in making your own Fabric Jar Covers? * Pectin products are not interchangeable. * Always check the best before/expiry date on pectin packages. * Use exactly the amount of sugar specified, because the right amount of sugar is critical for a good set of the jam or jelly. * Do not double recipes. The jam or jelly may not set. * Measure the fruit or juice after preparation and use it immediately. * Sterilize jars or freeze jams. * Unsweetened frozen rhubarb can be used. * Use food processors to prepare fruit only when specifically recommended in the recipe. If you have a lot of rhubarb on hand, consider using one or more of the recipe links above to make rhubarb jam or jelly as gifts for Christmas, Birthdays, or as homemade Wedding Favours, or any other occasion. Many people do not grow rhubarb, but love to enjoy the delectable flavour of rhubarb jam. Plain, or mixed with an assortment of different fruits this jam is always a special treat! Cute small jars for preserves are available to use for making gift jars of jam. 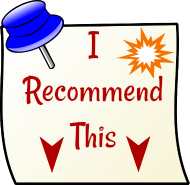 Click on the images below for additional product information and customer product reviews. 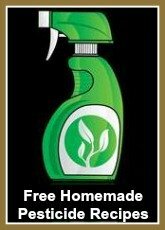 These products are available online at *Amazon.com. ♥ Do you want to "say" "I LOVE YOU" ... with Jam, to Someone Special?